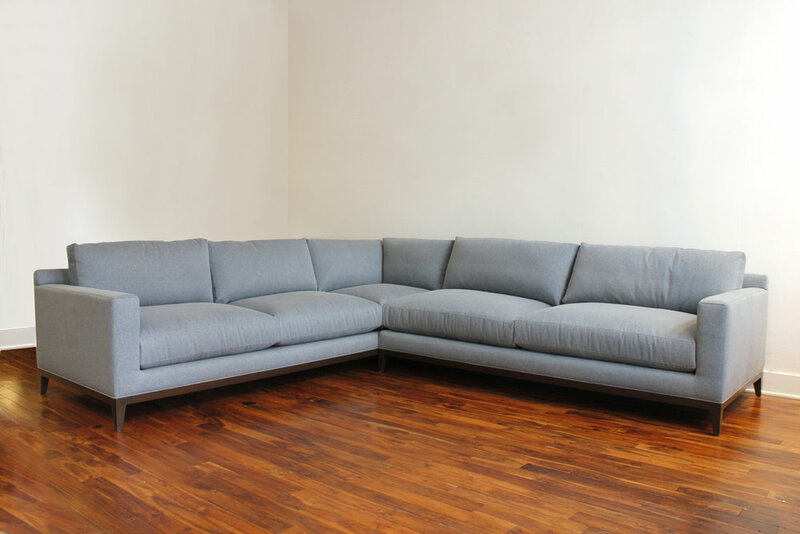 Standard sectionals have an arm on either end giving the sectional a closed, balanced look. 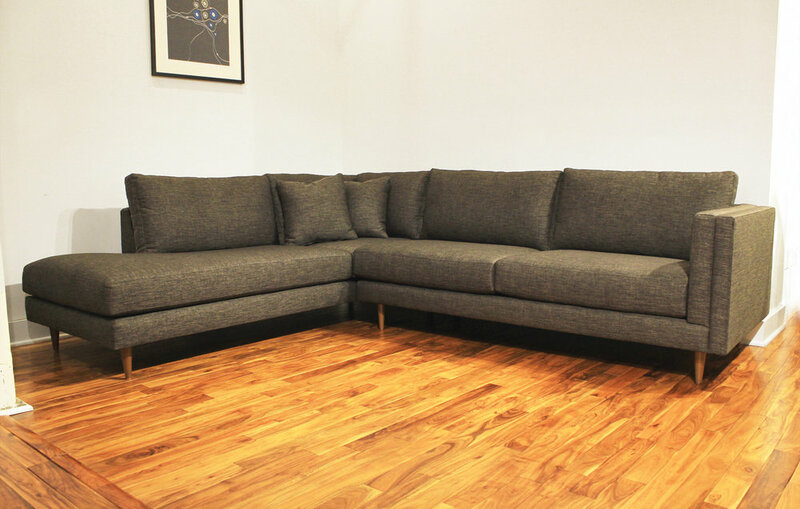 It is the most traditional sectional style, and works well with any of our sofa’s that can be made into a sectional. Bumper Ottoman sectionals have one end that is open, and an arm on the other end. It can still accommodate seating on the return but has no arm, and an extended seat. It gives the sectional a more open look similar to a chaise, but allows for more seating. This is also a great option for a sectional that will be in a smaller space, but needs optimal seating. have one (or both) ends with an extended seat, like an attached ottoman. Reversible Chaise sectionals have a chaise that can detach and be flipped to the other side of the sofa. Only certain styles can accommodate the reversible chaise. We use this method of creating a reversible chaise instead of some of the ottoman-style reversible chaise sofa’s seen at other home stores because we believe it offers a more sturdy, comfortable feel when sitting, and eliminates the worry of the ottoman sliding out from under the chaise cushion.